Home / About the Office / The Office of Business Development / What is Non-Traditional Revenue? 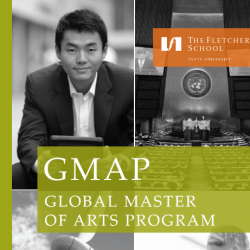 The Fletcher School developed an innovative MA that combined a primarily internet-mediated curriculum with three residencies to appeal to a new student – global practitioners – without requiring them to interrupt their careers or relocate. This program developed a substantial ~15-year revenue stream for The Fletcher School. Do you have the next big Executive Education program? Talk to us! Tufts Center for Engineering Education and Outreach and the School of Engineering developed an innovative certificate program by identifying and acting on a key need they identified among K-12 educators. Newly developed national science education standards (NGSS) now include engineering, an area most teachers have little background in. The CEEO leveraged years of research and outreach programs to design a new 100% online program that provides teachers with hands-on design projects to build their content knowledge and pedagogical approaches to transform their classrooms while they remain working professionals. According to Academia.edu, other universities have generated over $1M a year by licensing their continuing education programs (e.g., certificates) to other academic institutions and to for-profit enterprises. The content is branded by the home university (e.g., Tufts) and the model enables content distribution both domestically and abroad, likely with minimal faculty oversight beyond a periodic refresh of content. Do you have a unique course with content that other institutions might be interested in teaching? Talk to us! The Friedman School’s Health & Nutrition Letter has been successful selling individual subscriptions. However, the school saw and followed an opportunity to sell institutional subscriptions to higher volumes of readers. Currently underway, this effort should not only improve subscription revenue, but should have benefits to ancillary revenues (faculty books, gifts), to Friedman enrollment, and to the overall visibility of the School. Do you have a program that can be further monetized? Talk to us! The Cummings School saw its high-quality BSL-3 labs as an underutilized resource that could be valuable to other institutions. Given the cost to develop and maintain these labs, Cummings believes other companies will be willing to pay for access to the space. Currently being explored, Cummings hopes to rent Lab time to these companies both growing revenue and making use of existing latent assets. Do you have equipment, space, or other assets that could be valuable to other institutions? Talk to us! According to the Minnesota Daily, The University of Minnesota is one of many higher education institutions buying real estate in its surrounding community. U of M recently entered into a joint-venture with a local development company to purchase substantial property adjacent to its campus, including a Days Inn, a Chinese Restaurant, and 170 parking spaces. While the plans for the space (office, retail, housing, hotel) are still being developed, the University jumped on the opportunity to ensure the best outcome for its neighborhood when the nearby land was being sold. Do you have an idea that could radically enhance the University’s financial opportunities? Talk to us!